For JBS news and event coverage inquiries and requests, please send an e-mail to our attention at mail@jbstv.org. Include event date, agenda, and contact information. 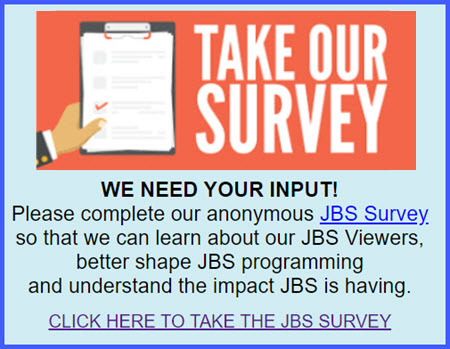 Pull up the JBS website www.jbstv.org on your iPhone browser (Safari) and then tap the > menu button in the bottom middle of the screen. Then, select > Add to Home Screen > the JBS website shortcut will appear on your home screen as an app icon.